Gastric bypass surgery in addition to intensive lifestyle and medical intervention led to reductions in HbA1c, blood pressure, and cholesterol levels up to 5 years post-surgery in patients with type 2 diabetes, though the effects of surgery appeared to decrease over time, according to results of the Diabetes Surgery Study. One hundred and twenty individuals with HbA1c levels ≥8.0 percent and BMI 30.0–39.9 kg/m2 (mean age 49 years, 60 percent female, mean baseline HbA1c 9.6 percent) were initially randomized 1:1 at four centres in the US and Taiwan to undergo an intensive lifestyle* and medical management intervention for 2 years with or without Roux-en-Y gastric bypass surgery. Of these, 82 percent completed the 5-year follow-up period. This was a reduction for both groups when compared with the first-year results where 50 and 16 percent of patients who underwent surgery and lifestyle/medical intervention, respectively, achieved the triple endpoint (p=0.003). According to the researchers, the decline primarily occurred between years 1 and 3 post-randomization, with the effects remaining stable between years 3 to 5. When broken down by component, more patients who had undergone gastric bypass achieved HbA1c <7.0 percent compared with those on the lifestyle/medical intervention alone at 5 years (55 percent vs 14 percent; p=0.002), though this was also reduced from the 1-year mark (83 percent vs 29 percent). At 5 years, mean HbA1c was 1.6 percent lower among patients who had undergone gastric bypass compared with those who underwent the lifestyle/medical intervention alone (7.1 percent vs 8.7 percent; p<0.001). More patients who underwent surgery achieved LDL-C <100 mg/dL (77 percent vs 47 percent, odds ratio [OR], 3.66; p=0.02) but the between-group difference was only significant at year 5 and not at the other time points. Conversely, there was no significant difference between the proportion of patients in the surgery and lifestyle/medical intervention groups with regards to systolic blood pressure <140 mm Hg at 5 years (92 percent vs 86 percent, OR, 1.92). “Because most participants had good baseline control of blood pressure and LDL-C and because the treatment effect on these variables was weaker, glycaemic control is likely the primary contributor to the surgical composite triple endpoint improvement,” said the researchers. Patients who had undergone gastric bypass were also on fewer cholesterol, blood pressure, and diabetes medications at 5 years (mean 4.1 [baseline] reduced to 2.0) compared with those in the lifestyle/medical intervention group (mean 4.3 [baseline] increased to 4.4; p<0.001 between-group difference), were less likely to be on insulin (15 percent vs 37 percent; p=0.02), and had a higher cumulative weight loss (22.9 percent vs 6.3 percent). Gastric bypass was associated with a higher number of serious adverse events than lifestyle/medical intervention alone (66 vs 38 events), including 14 cases of surgical complications, as well as 15 and 16 gastrointestinal events among patients in the gastric bypass and lifestyle/medical intervention groups, respectively. 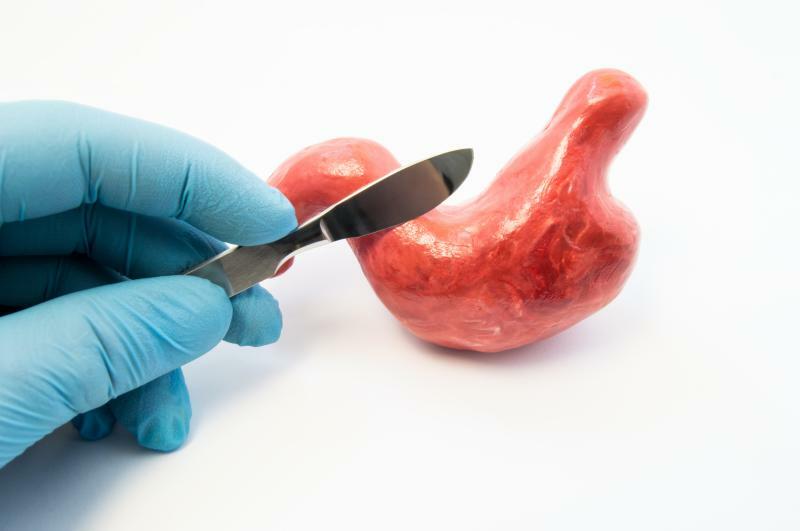 There was also a higher incidence of parathyroid hormone elevations among patients who underwent gastric bypass (46 percent vs 19 percent; p=0.02). “[T]he key treatment goals for patients with diabetes are the prevention of long-term complications … the results indicate that gastric bypass provides significant benefit but with a smaller and less durable effect size than what is seen in the evaluation of glycaemic control alone,” said the researchers. “[A]dding gastric bypass to intense lifestyle and medical management continued to show improved attainment of the triple diabetes endpoint goal [at 5 years follow-up] … However, because the effect size diminished over 5 years, further follow-up is needed to understand the durability of the improvement,” they said.